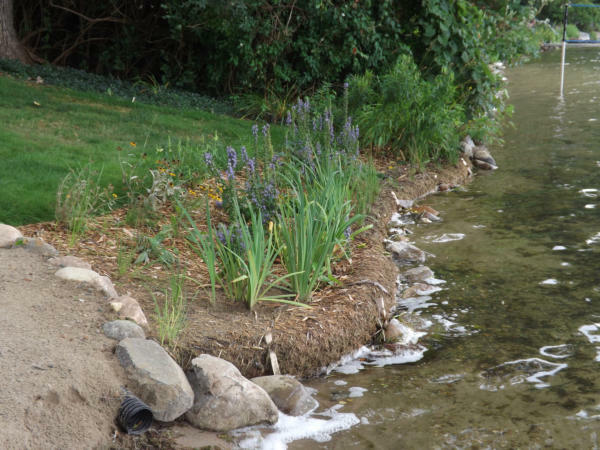 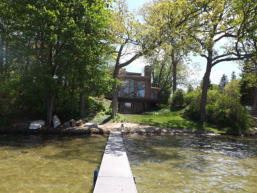 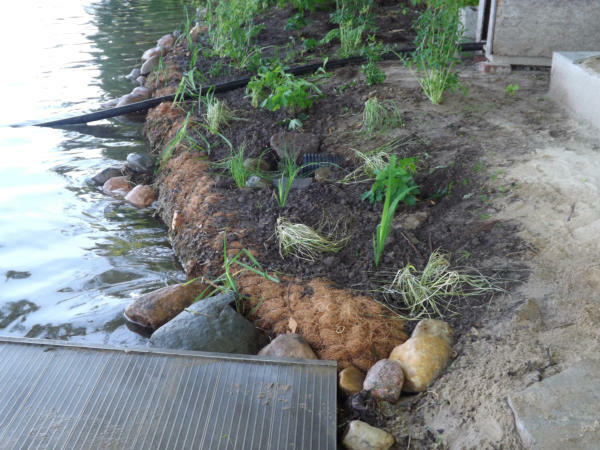 Watkins Lake Riparian Buffer Client wanted to stop shoreline erosion and create a natural shoreline. 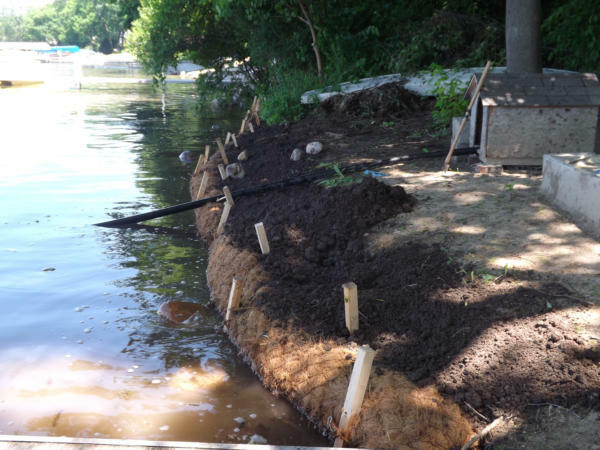 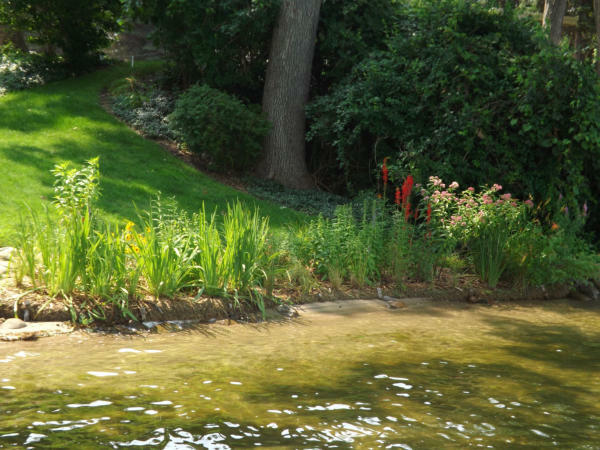 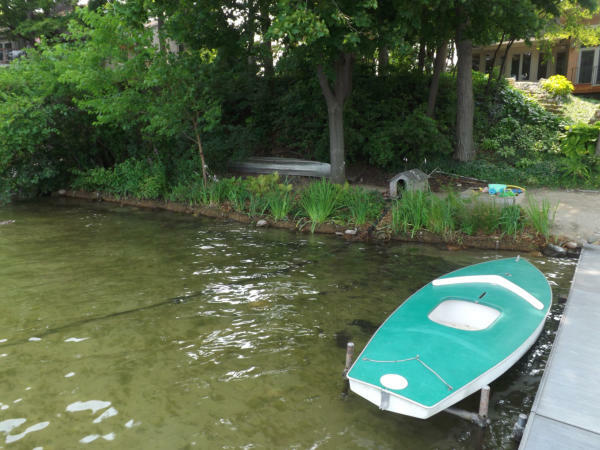 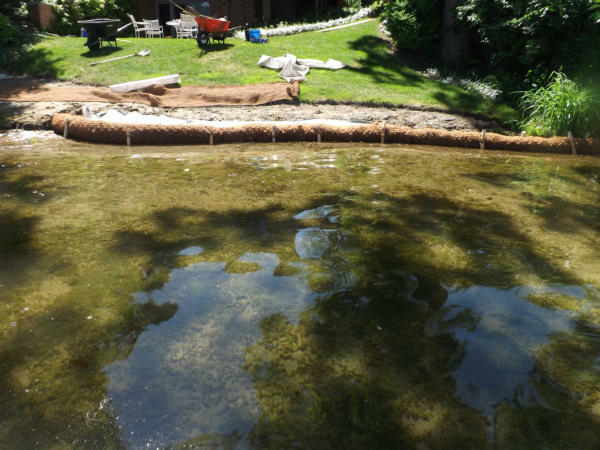 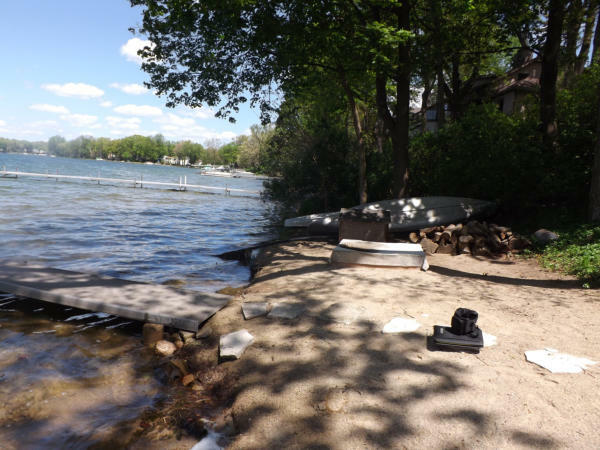 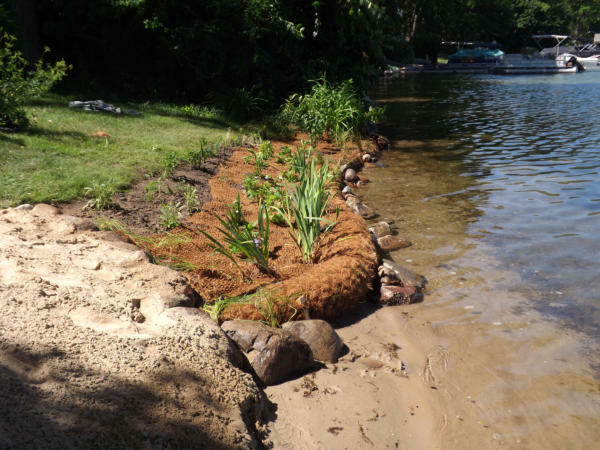 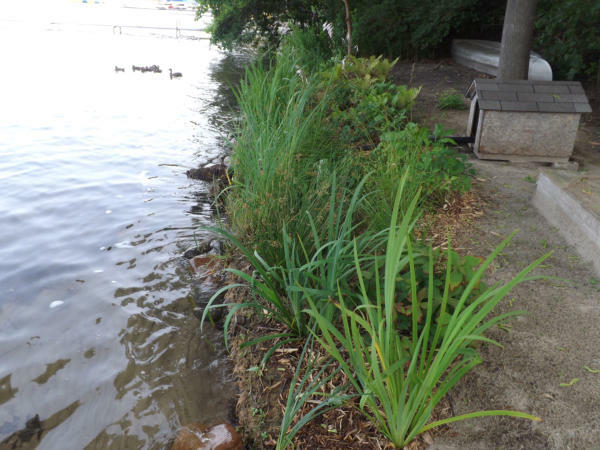 A natural native planted lakescaping was achieved by using Coir logs to stabilize the shore. 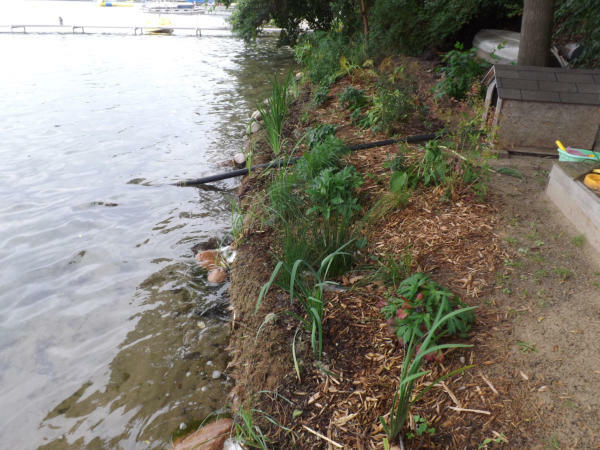 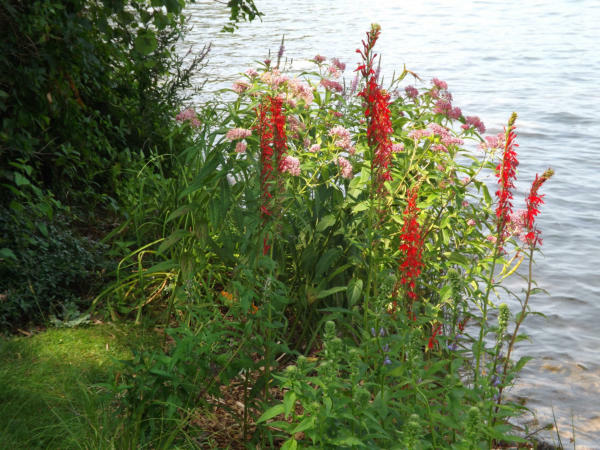 Native plants and shrubs were added to provide long-term erosion control and enhance beauty of the lakefront. 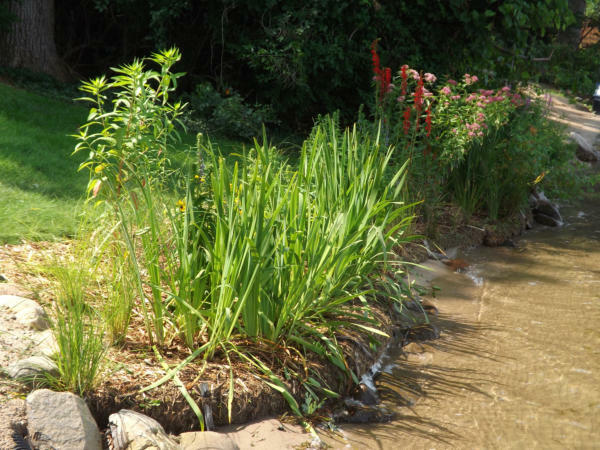 The native plants will grow into and around the coir logs over the next couple of years to create a bio- diverse riparian buffer.